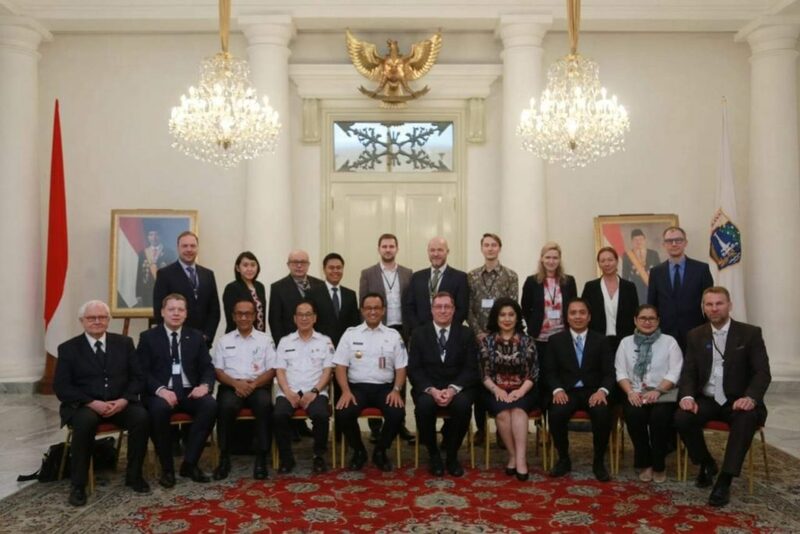 Twelve Estonian business leaders together with government representatives visited Vietnam, Indonesia and the Philippines. The visit aimed to strengthen and establish new relationships with local partners. CEO of Elcogen Enn Õunpuu said that Southeast Asia has enormous potential “Due to a rapid economic growth they are in the favourable position to learn from the mistakes of other countries and to introduce only smart solutions. This goes to renewable energy as well as environmentally friendly power production”. The visit was organized by the Estonian Chamber of Commerce and Industry in cooperation with the Ministry of Foreign Affairs of Estonia within the framework of the development cooperation project financed by the Ministry of Foreign Affairs of Estonia. The visit included12 Estonian companies: Ecomatic AS, GoSwift OÜ, Elcogen AS, Reach-U AS, RaulWalter OÜ, Admiral Markets AS, Haage Joogid OÜ, Farmi Dairy Ltd, PW Partners OÜ, Cybernetica AS, Aktors OÜ and Positium OÜ.